The Sher-Gil Sundaram Arts Foundation (SSAF) will inaugurate a new project grant in 2019: the SSAF Installation Art Grant. The SSAF Installation Art Grant is premised on the fact that Indian art has been energized since the 1990s by what is broadly termed installation art, but that there is, till today, limited infrastructural and institutional support for such projects. Inaugurating this grant, SSAF offers an abbreviated set of propositions that will, we hope, generate well developed project proposals and a critical discourse before and after the Grant. Installations foreground material structures, sometimes articulated as object configurations and dispersed fragments and at other times, architecturally. Within the parameters of the concept and term, an installation may construct a mise-en-scène for sculptural staging. It may present archival (photographic and documentary) data for conceptual and pedagogical purposes. It may succeed in imagining community and provoke social action. Installation projects are often contextual; in selected instances – when the elements deployed are inalienable from the selected site (whether warehouse, museum, landscape or ruin) – an installation will be considered site-specific. This is a distinct feature of installation art but not definitional, nor is it a mandatory condition for the SSAF Installation Art Grant. The SSAF Installation Art Grant invites applications from artists or artists’ collectives of Indian origin who reside in India. Preference will be given to applicants who have not had adequate opportunities and exposure, who lack access to networks of national and international sponsorships. The duration of the grant is 18 months. The comprehensive grant amount is INR 8 lakhs, extendable to INR 10 lakhs. This amount is expected to cover all expenses pertaining to the project including research visits, production, travel, shipping/freight, installation and de-installation of the project. The artist will be required to submit a detailed budget at the time of the application. The time frame of the research, production, installation and de-installation phases will have to be clearly outlined. The grant is a production grant only and does not have the facility of an artist’s fee. While the selected project will receive financial support from SSAF, all logistics related to the project will be the responsibility of the artist. Arrangements and negotiations relating to the selected site, as well as the execution and display of the installation, will be carried out by the artist. The durational aspect of the actual installation will be proposed by the artist in consultation with SSAF and on-site/institutional administrators. The installation in all its constituents will belong to the artist, and will be de-installed and stored by the artist. The project must be located in India. Location details, if the project is site-specific, need to be specified in the proposal. The project should be within the parameters of installation art. The proposal should include as much information about the project as possible, enabling us to gain greater clarity about the potential and practicality of the project. Please read through the application form and the checklist at the end of the form carefully for what is required for submission. The project should be feasible in terms of costs and scale, and should meet the dates set in the timeline by the artist. Present a concise schedule and a proposal and budget for the research, production, installation and de-installation phases of their proposed installation projects. Submit regular, quarterly project and budgetary updates. Submit a final report and documentation of the finished project. Be responsible for maintaining budgets according to the financial guidelines set by SSAF. Be responsible for all aspects of production, development and setting up of the project including transportation, shipping, dismantling and storage of work after the project ends. Please include all documents/materials in a single email, and submit via Google Drive/We Transfer/Dropbox, at the email address given above. Please do not submit hard copies/printed versions of any documents/materials via post or courier. Images: A maximum of 20 images of the applicant’s current works if applicable to the context of installation art. For video-based work, up to 10 minutes of video file(s) is permitted. The video file(s) should be compatible for playback on Windows Media Player/Quick Time Player/Real Player. A statement of purpose of 300-500 words, outlining how the applicant expects to benefit from the grant. A project proposal of 1000-1500 words, with a concept note and visual support material. A timeline for development of the project. One reference with contact details. Additional support material: Support materials such as reviews and catalogues are optional. Artists can upload upto three copies of scanned support material. All applications to be received by 28 March 2019. (Please note that SSAF will not acknowledge receipt of individual applications given the volume of emails received). A three-person jury will shortlist three candidates for interviews. The jury will conduct Skype interviews with the shortlisted candidates between 3 and 5 April 2019. The selected candidate will be notified over telephone as well as by email by 5 April 2019. Public announcement of the grantee will be made by 6 April 2019. The duration of the grant will be 18 months from the date of announcement. The jury members for the inaugural SSAF Installation Art Grant are Patrick D. Flores(Chair), Jitish Kallat and Pooja Sood. 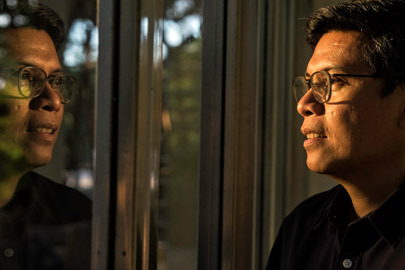 Patrick D. Flores is Professor of Art Studies at the Department of Art Studies, University of the Philippines, which he chaired from 1997 to 2003, and Curator of the Vargas Museum in Manila. He was one of the curators of Under Construction: New Dimensions in Asian Art in 2000 and the Gwangju Biennale (Position Papers) in 2008. He was a Visiting Fellow at the National Gallery of Art in Washington, D.C. in 1999 and an Asian Public Intellectuals Fellow in 2004. Among his publications are Painting History: Revisions in Philippine Colonial Art (1999); Remarkable Collection: Art, History, and the National Museum (2006); and Past Peripheral: Curation in Southeast Asia (2008). He was a grantee of the Asian Cultural Council (2010), a member of the Advisory Board of the exhibition, The Global Contemporary: Art Worlds After 1989 (2011), organized by the Center for Art and Media in Karlsruhe, and a member of the Guggenheim Museum’s Asian Art Council (2011 and 2014). He co-edited the Southeast Asian issue with Joan Kee for Third Text (2011). He convened in 2013, on behalf of the Clark Institute and the Department of Art Studies of the University of the Philippines, the conference ‘Histories of Art History in Southeast Asia’ in Manila. He was a Guest Scholar of the Getty Research Institute in Los Angeles in 2014. He curated an exhibition of contemporary art from Southeast Asia and Southeast Europe titled South by Southeast and the Philippine Pavilion at the Venice Biennale in 2015. He has been appointed the Artistic Director of Singapore Biennale 2019. Jitish Kallat was born in Mumbai in 1974, the city where he continues to live and work. Kallat has exhibited widely at museums and institutions including Tate Modern (London), Martin Gorpius Bau (Berlin), Gallery of Modern Art (Brisbane), Kunst Museum (Bern), Serpentine Gallery (London), Mori Art Museum (Tokyo), Palais de Beaux-Arts (Brussels), Hangar Bicocca (Milan), Busan Museum of Modern Art, Astrup Fearnley Museum of Modern Art (Oslo), ZKM Museum (Karlsruhe), Henie Onstad Kunstsenter (Oslo), Arken Museum of Moderne Kunst (Copenhagen), Institut Valencia d’Art Modern (Spain), Art Gallery of Ontario (Toronto), Jean Tinguley Museum (Basel) and the Gemeente Museum (The Hague), amongst many others. Kallat’s work has been part of the Havana Biennale, Gwangju Biennale, Asia Pacific Triennale, Fukuoka Asian Art Triennale, Asian Art Biennale, Curitiba Biennale, Guangzhou Triennale and the Kiev Biennale, amongst others. His solo exhibitions at museums include institutions such as the Art Institute of Chicago, Bhau Daji Lad Museum (Mumbai), the Ian Potter Museum of Art (Melbourne), CSMVS Museum (Mumbai), the San Jose Museum of Art, Art Gallery of New South Wales (Sydney) and the Philadelphia Museum of Art. In 2017 the National Gallery of Modern Art (New Delhi) presented a mid-career survey of his work titled Here After Here 1992-2017, curated by Catherine David. 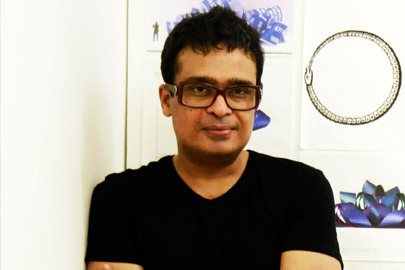 Jitish Kallat was curator and artistic director of Kochi Muziris Biennale 2014. 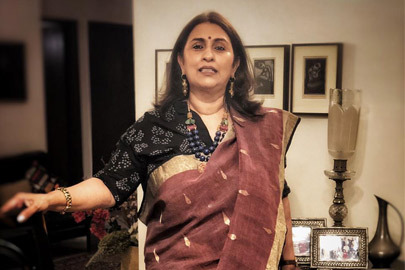 Pooja Sood is a founding member and Director of Khoj International Artists’ Association, which is an autonomous, not for profit society committed to experimentation and exchange in the visual arts in India. Under her stewardship, Khoj has grown from an annual event in 1997 to a small but vibrant institution which plays a central role in the development of experimental, interdisciplinary and critical contemporary art practice in India. As Director of Khoj, Pooja Sood has worked actively to build a robust network of experimental spaces across South Asia, resulting in the South Asian Network for the Arts (SANA). Her contribution has been in the field of curating alternative contemporary art practices in India, as well as exploring different models of collaboration and institution-building in India and South Asia. Since 2009 she has been the Director of ArThinkSouthAsia (ATSA), which is an arts management programme for young cultural leaders in South Asia. More recently, in 2015, she was appointed Director General of a multi-arts space, the Jawahar Kala Kendra, in Jaipur. Pooja Sood is a Chevening scholar on the Clore Leadership Programme, UK (2009–11). She lives and works in New Delhi.